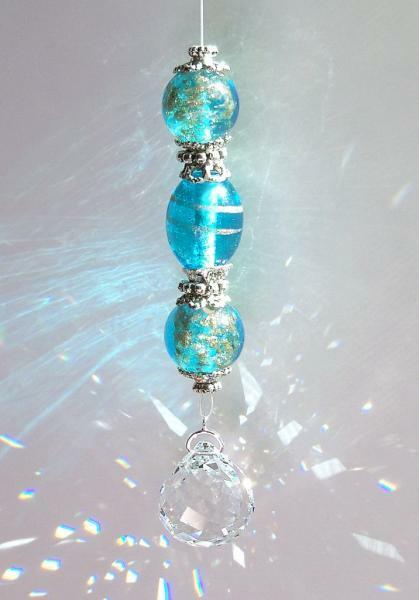 This sun catcher was created from a photo taken in the Antarctic of a naturally occurring phenomenon called "Blue Ice"
Lampwork Glass beads infused with Silver swirls and flecks are a stunning clear Aquamarine and separated with silver-toned Bali style spacer beads. 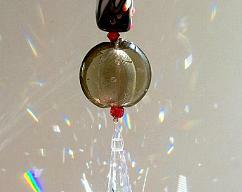 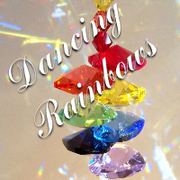 These beads and spacers adorn an exquisite 20mm Swarovski faceted Crystal Ball. 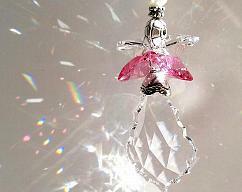 The bead area of this unique suncatcher measures 4" and the entire length including the plated hanging ring is 6 1/2".